I posted an ad for web designing services on our local classified pages, and the rest they say, is history. Ty McNab and I had been distantly connected to each other’s social media for years. I was aware of his silver work and he of my cowboy poetry but that was about it. That first call launched us into a whole new branding process, combining the talents of both himself, and his wife, Caitlin. Before long, The Southfork Outfit was born. Like many folks, Ty and Caitlin had multiple talents to bring to the table but were not sure how to market them collectively. Ty had been practicing the silver trade for years and Caitlin had continued to refine her art and photography style. Together, they had a great dynamic for their dog training business. Ty would work hands on with the handler and dog, while Caitlin made note of her outside observations. Their ties across central and eastern Oregon kept their products and services upwardly mobile. Up until that point, they had multiple pages, across multiple platforms that failed to present a singular, cohesive story. There was a lot of busy without the results they were after. 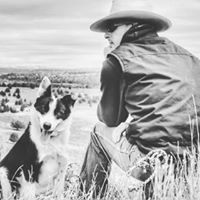 When the three of us met in Burns, we spent as much time swapping stories as we did strategizing on their business launch. We decided that with their team approach and similar customer base, one brand would simplify their marketing efforts. We looked through their current social media and how to adjust their conversations to fit the new one in creation. Ty, more driven in verbal story, would take charge of their Facebook and emerging blog while Caitlin, more engaged with visual mediums, would represent the primary voice on Instagram. Our meeting came to an end as the donut shop was ready to close but each side left with a new reading list to conquer and some concrete plans to move forward with. The three of us continued to work through possible names, logos, and structuring scenarios via phone and instant messages. Trial and error brought us through the work they most wanted to do and who they wanted to serve. The result was an authentic story line more than just “building a website” could create. As a consultant, these two embodied the three things I look for most in potential clients. They were coachable, decisive, and resourceful. Ty and Caitlin were willing to tackle problems, try new things, and stay committed to the process. They understood the importance of building anticipation with their audience and how quality photography would set them apart. I have seen new life in the way they tell their stories and inquiries into their site continue to increase as a result. As they focused on giving to their tribe, their tribe gave back to them. When your brand is based on story you set yourself up to grow in whatever direction life takes you. 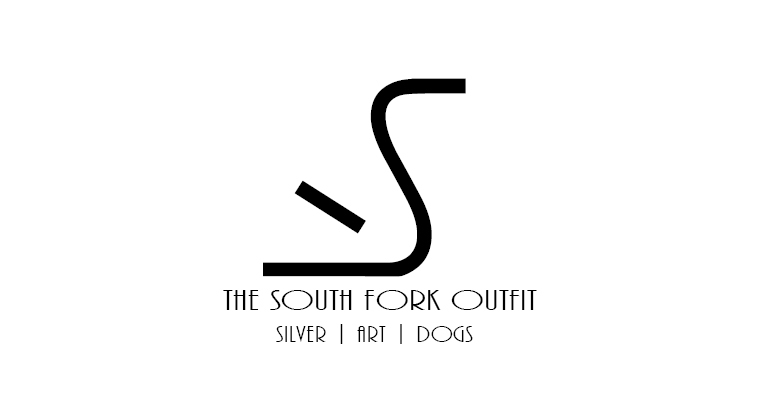 The Southfork Outfit is growing because of the intentional work of Ty and Caitlin! What was Branded in Ink able to offer to their launch? · Pinpointing and research for their brand name.